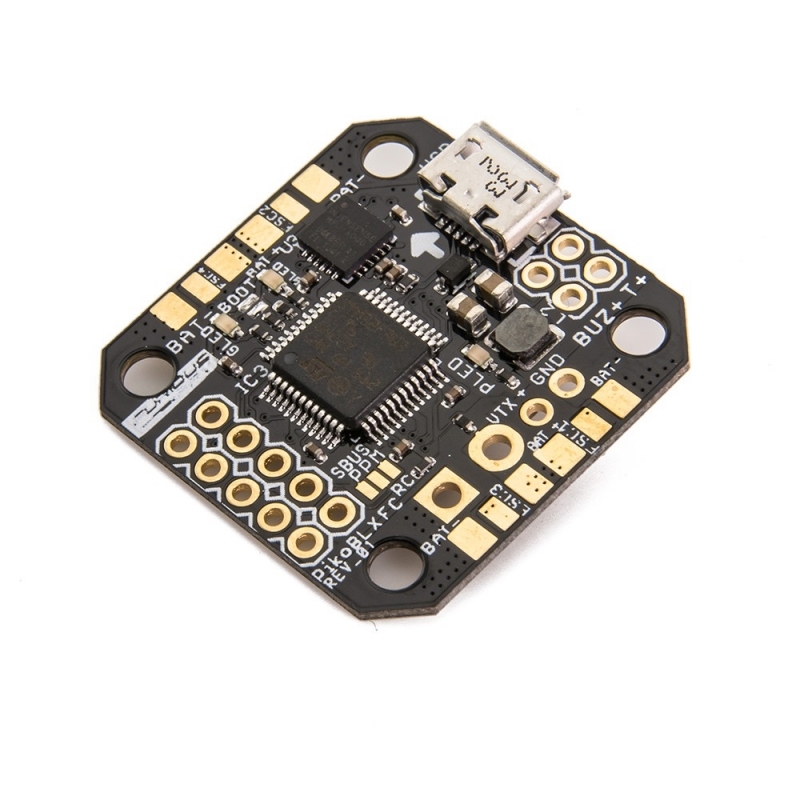 Ultra light, astonishingly small and packed with massive levels of performance capability, this is the one and only flight controller that is ready & waiting to devastate the micro FPV competition. Unlike any other system available today, it provides an all in one solution that brings forth the ultimate in simplified sophistication, utilizing industry leading technology that has never been seen in a system this compact. 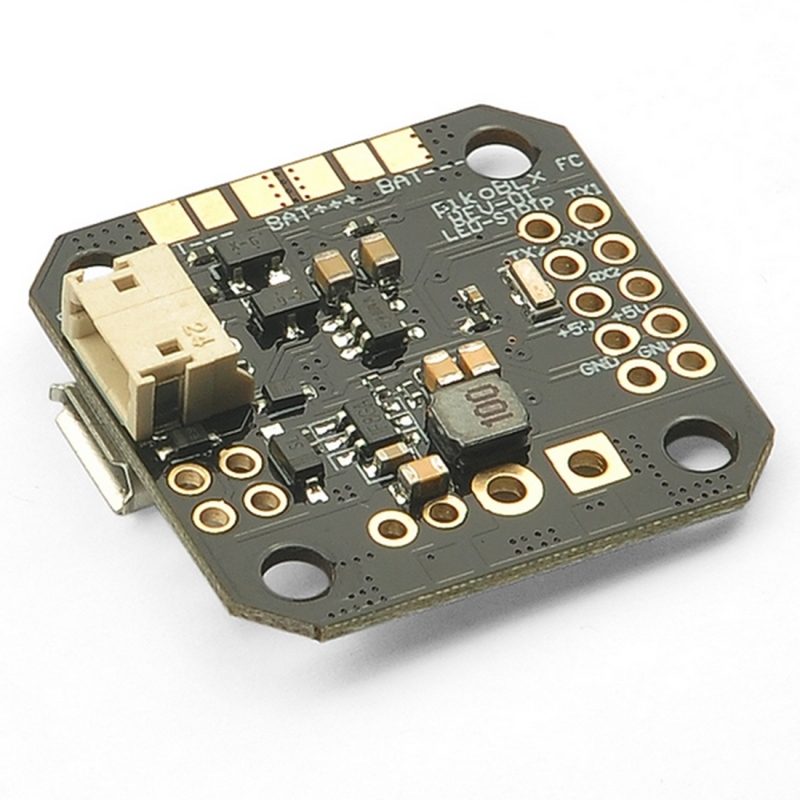 With an industry 1st gold plated PDB that is integrated within,this flight controller provides the ultimate in soldering ease with the highest grade of connectivity, allowing direct soldering points for motors, VTx, Receiver and FPV Camera. Simplicity has met its match, and we have yet to get started. 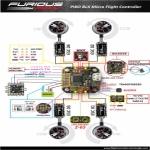 Utilizing the very latest F3 chip processor with built in CleanFlight & BetaFlight firmware, this utilizes industry leading components with an included LC filter for the very best in signal reception. 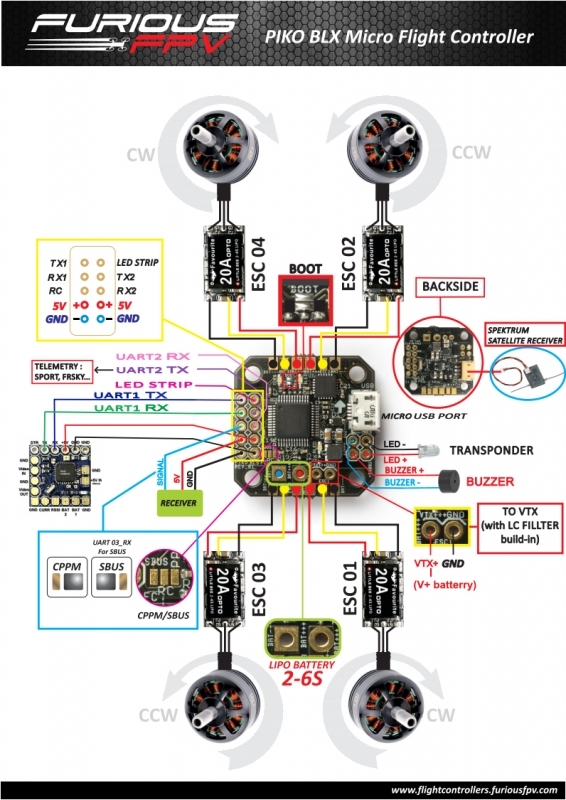 Add the 2A 5V BEC with a built in Sbus inverter, and it stands alone amongst all the rest with a potent blend of race ready madness.